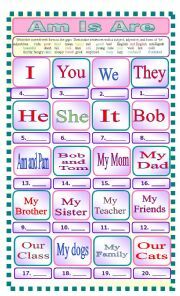 Students fill in the blank to practice using should, would, and could. Begins with informal greetings, then formal greetings. Then models introducing oneself. The preview shows HiHi, Hi Hey, and HiHello, but they do not show in the downloaded worksheet. 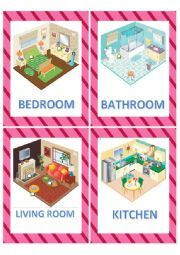 Living room, bathroom, bedroom, bathroom cutaways. I inquired via e-mail and we have permission from the EPA to use them since they were developed by the EPA Environmental Protection Agency. 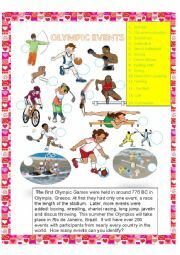 A matching activity with a simple reading text about the Olympics. Clip art by Phillip Martin http://www.phillipmartin.info/, http://publicdomainvectors.org/, and https://pixabay.com . 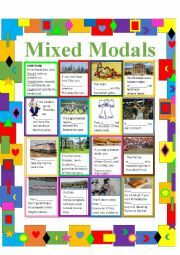 Other images attributed in the bibliography. 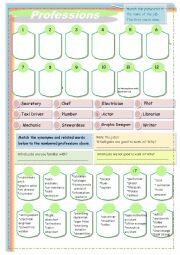 This worksheet is for practicing when to use the indefinite articles a and an, and identifying the situations when an article is not needed. 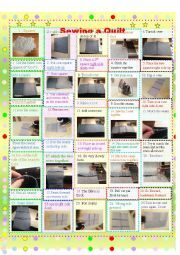 Many thanks to charmed_one for her beautiful template. Bedroom furnishings vocabulary. 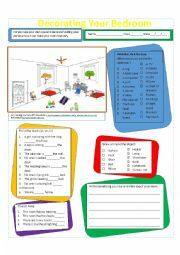 Preposition exercise (in on at), true false, tick the answer, write about what you like or dislike about your room. 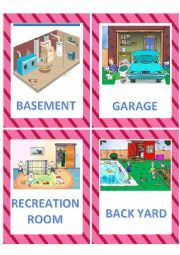 Flashcards for basement, backyard, garage, recreation room (family room). I inquired via e-mail and we have permission from the EPA to use them since they were developed by the EPA (Environmental Protection Agency). 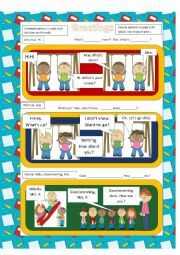 Students fill in the blank with the correct form of the verb "to be." 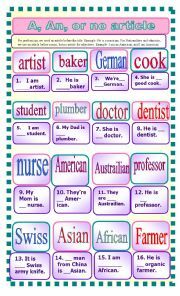 Then they make sentences using the list of adjectives with the subjects given and correct form of �be�. Thanks to charmed_one for the beautiful template.